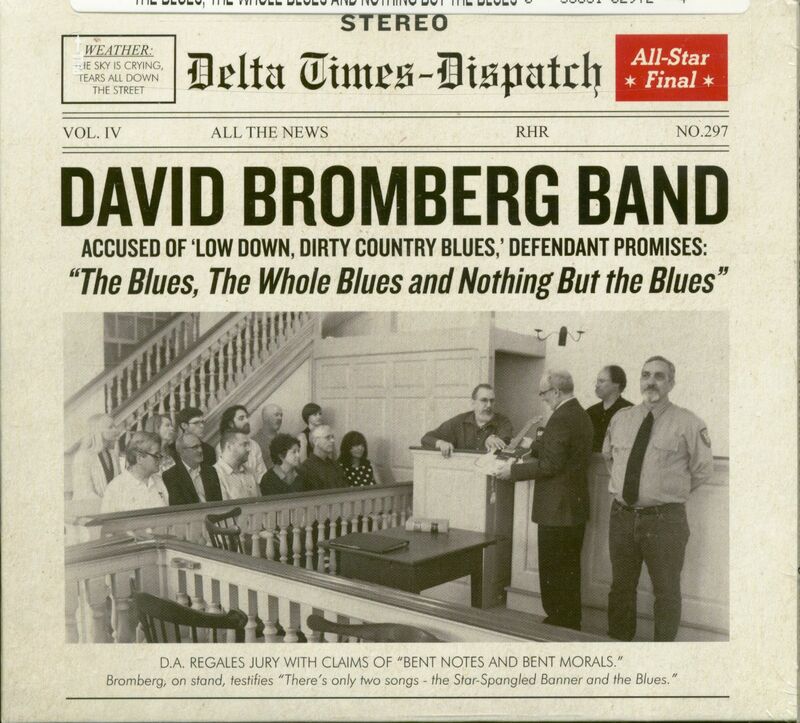 David Bromberg, Godfather of Americana, musician's musician, decorated multi-instrumentalist, and acclaimed singer-songwriter, hits a milestone with his debut Red House Records release The Blues, The Whole Blues and Nothing But The Blues. Produced by three-time Grammy winner Larry Campbell, it's a wonderfully curated selection of deep cuts from the blues genre, in addition to luminous originals and traditional material given the Bromberg treatment. David found his inspiration for the album when he heard Willie Nelson repeat a quote from Texas fiddler Johnny Gimble: 'There's only two kinds of music - the Star-Spangled Banner and the Blues.' Propelled by Bromberg's unparalleled playing and gift for interpretation, a crack band and Campbell's tasteful horn arrangements, the album takes us to electrifying heights as well as intimate acoustic moments on his arrangements of songs by Robert Johnson, Bobby Charles, George 'Little Hat' Jones, Ray Charles, and Sonny Boy Williamson and others. David puts his unmistakable stamp on these chestnuts, then digs deep into the historical archives for such mysterious musical nuggets as 'How Come My Dog Don't Bark When You Come 'Round?' and '900 Miles,' an old country song imagined as if Howling' Wolf were to play it. 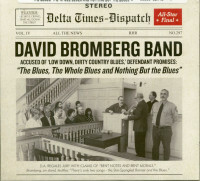 Bromberg may be singing the blues, but this is anything but a downer as he proves that he's still as entertaining, brilliant and witty as when his career began in 1971. 02 How Come My Dog Don't Bark When You Come 'Round? 04 Why Are People Like That? geb. 19. 9. 1945 in Philadelphia - Pennsylvania Record Labels: Columbia, Fantasy Der stark an der Folk Music orientierte Sänger, Gitarrist und Komponist David Bromberg begann als Session Musiker, spielte Gitarre für Chubby Checker und Jerry Jeff Walker, ist auf den Platten von von Bob Dylan, Doug Kershaw, Tom Paxton und Patrick Sky zu hören und begann 1970 bei Columbia Records seine Solokarriere. Er nahm 1970 am Isle Of Wight Festival und 1975 am Mariposa Folk Festival teil. 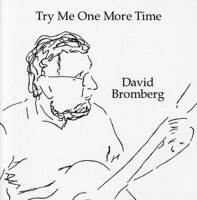 Stilistisch ist David Bromberg nach allen Seiten offen. Er spielt neben Folk, Rock und Country auch Dixieland und Blues. 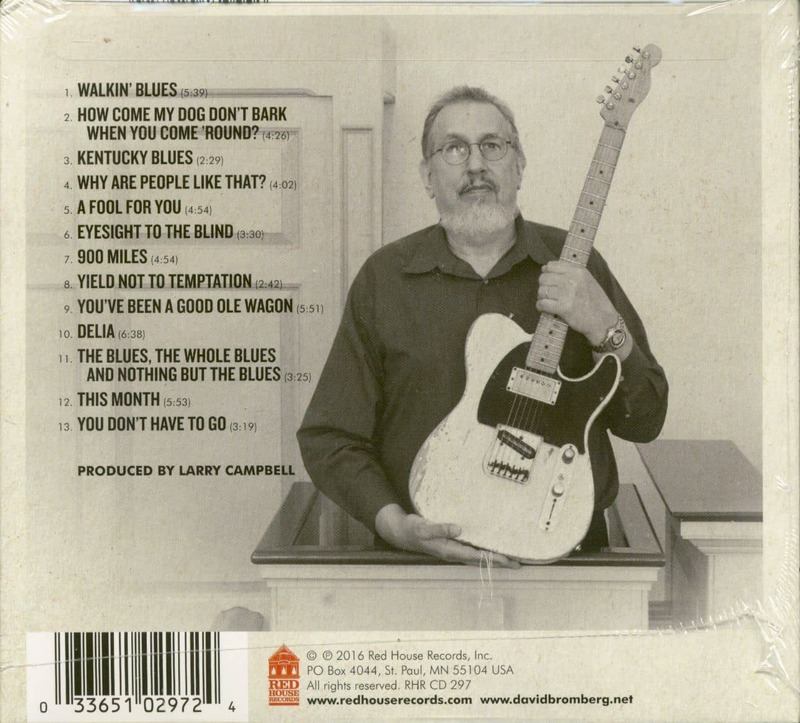 Customer evaluation for "Blues The Whole Blues & Nothing But The Blues (CD)"